Iâ€™ve tried this car seat and the Diono Rainier. I find this one much easier to install and tighten. Also now that my daughter is older I find this one allows her legs to be more comfortable rear facing. She is almost 4 now. 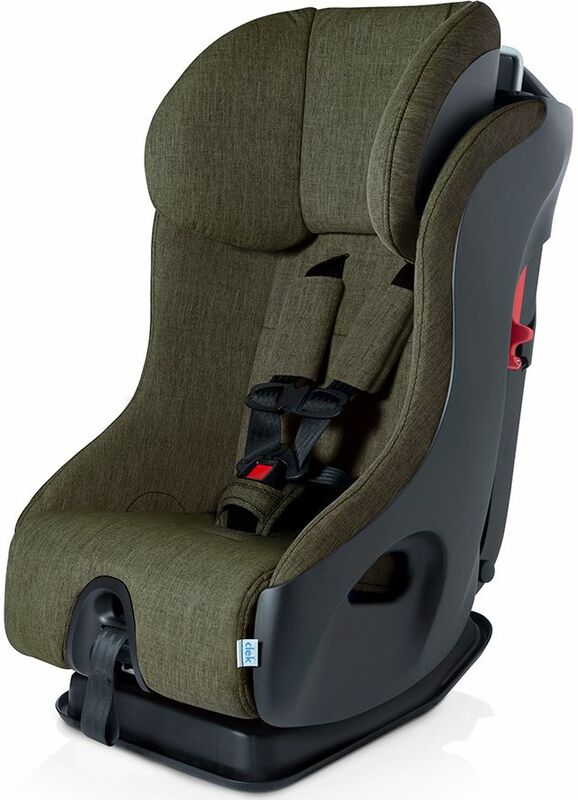 This carseat looks great and its sturdy and safe. My only complain is that is is somewhat difficult to clean if bodily fluids get into the fabric since the fabric cannot come off to be washed. We have been very pleased with Clek fllo. It's been easy to install both rear and forward facing. Love, Love, Love Clek Fllo!! My daughter is comfortable and safe, and I feel better knowing she's protected just in case. She's sensitive to comfort issues and has always been thrilled to ride in her seat compared to any other car seats she has occasionally ridden in. I would buy this again in a heartbeat. This seat is great, and totally worth the money. You can tell it's built well- very sturdy & safe. I really like this carseat. It looks great, is slim while still being spacious for my son, and is relatively easy to install. The fabric is like a towel-like fabric, which I wasn't really expecting. I didn't like that at first but its grown on me. 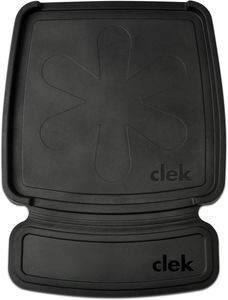 We ordered the Clek Fllo because we wanted a compact car seat + top safety ratings. While the Cleck seats are very NARROW, they take-up a lot of space front-to-back. We tried installing this in both the middle and the side rear seats of our 2014 Ford Escape and in order to fit the front driver or passenger seats had to be pulled uncomfortably far forward. Unfortunately that did not work for us, so we ended-up returning and purchasing the Nuna Rava. So impressed and thankful We didn't need to buy a new car!!! So we bought three new car seats for our 3 1/2yo, 1 1/2 yo and our future new born due in two weeks!!! We looked at every car seat and searched every store and found nothing that would accommodate our mini SUV..everything was bulky and wouldn't fit three car seats... THEESE FIT LIKE A GLOVE!!!! They are a little pricey but cheaper than a new car!!! Would recommend to anyone looking for a car seat or multiple!!!! But recomend adjusting straps before installing... lol we got too excited my husband installed them about three times until we figured out all the tricks... so much easier to install!!!! We purchased this car seat by the recommendation of "The Car Seat Lady". We have this one and the Clek Foonf. The Clek Fllo is slightly smaller than the Clek Foonf. We wanted the Fllo so that we could travel easier with it on flights as it fits in the travel bag and is a little lighter, yet still sturdy. It's comforting knowing that our children are in strong, sturdy car seats. It arrived quickly and has been a great car seat! I would definitely recommend. We have three clek Fllos! The prince color is by far my favorite! Safe, although super heavy, I know my kids are well taken care of! 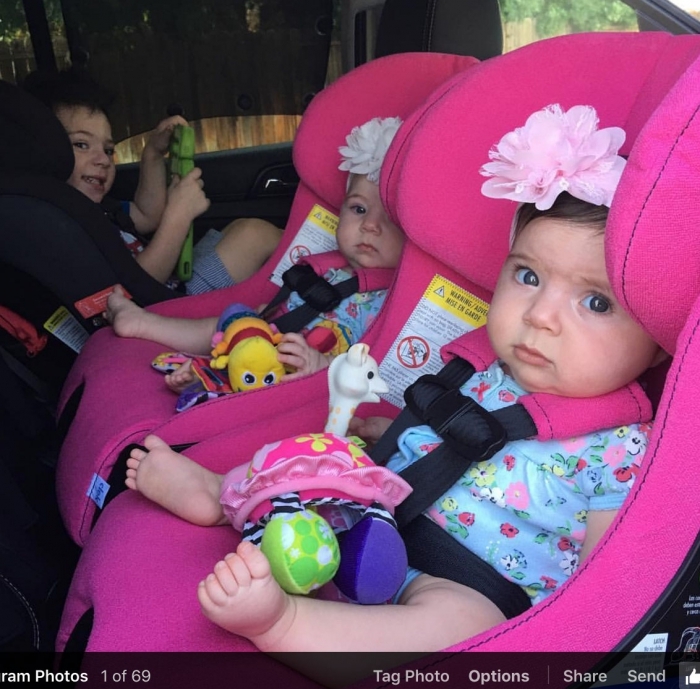 The car seat fits three in a row. I did a lot research when it came to rear facing. My son is skinny and tall and I knew I wanted him to rear face a long time. The seat is perfect for him. It looks fantastic also! Only negative is if you have to clean it my son got sick in the car so that was a huge challenge to make the fabric clean and smell free. About to buy my second for my other son ! Love it! Super comfortable for kids and looks great. 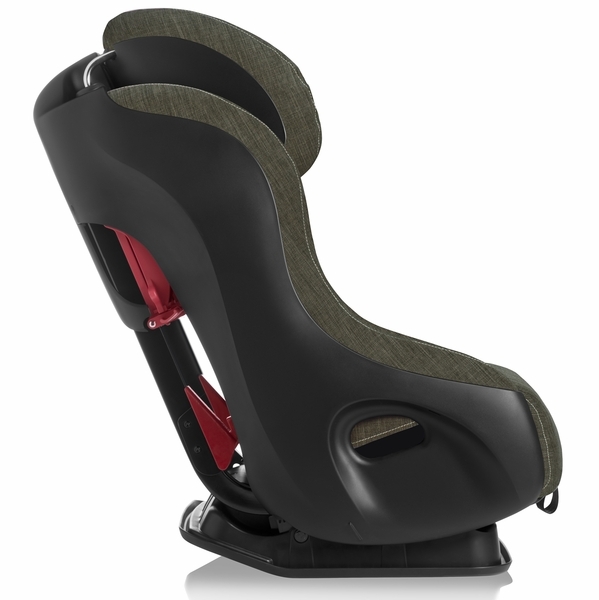 I love all the Clek car seats and this one is no different. I am so impressed with how easy it is to install and how amazing it looks!! I am so happy I chose to purchase it from Albee Baby, their customer service is impeccable! Wonderful experience all around!! I love this seat and so does my son. I added the Clek Infant Thingy so we could use it a little sooner. Easy, solid install every time. My only complaint is the fabric seems to collect fuzz off my sons clothes all the time. It looks dirty. We LOVE this seat. 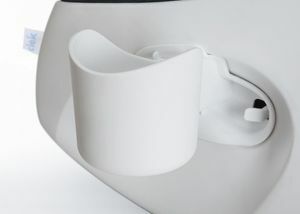 Easy to install and has seat belt lock offs so the seat doesn't budge. Cover wipes off easily. Kiddo seems to be comfy in it. 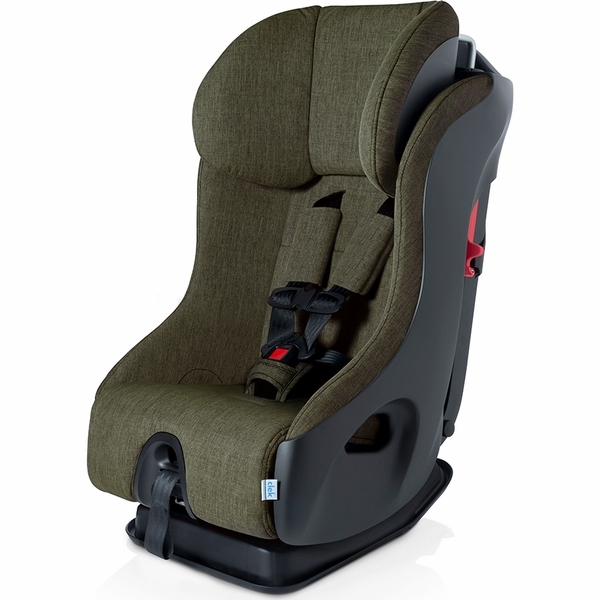 We initially ordered a maxi cosi pria 85. Very comfy seat but we just couldn't get a tight install which made me nervous. So glad we returned it for this seat! The graphite color is nice, gray with just a tint of blue. Nice to save a little money on the 2016 model. If you're on the fence, spend the money to buy the Clek. You won't regret it. Love this car seat so much we got 2. 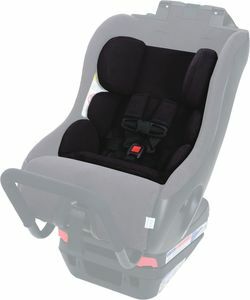 Easy to use and I have a sense of security knowing my child is in one of the top rated car seats for safety. Looks very sleek as well. This seat is perfect for those looking for a narrow seat for a 3 across situation. It's also great for extended rear facing. Easy to install and compact front to back. Love how sleek it is and how easy it is to clean. Highly recommend any clek seat, but especially the fllo. Would buy this again in an instant if I needed another! I love this carseat. The construction and safety was extremely important to me when selecting a seat for my daughter, and this one fits the bill. It is large, but thats the idea: I know she will be rear facing in this seat for a while. Worth every penny. beautiful seat, especially fabric. very sturdy. not quite as narrow as had hoped (very small car). Love this car seat! My daughter loves it too! She doesn't make a peep when in this seat. It is easy to install, but on the heavy side. The weight wasn't a deal breaker because once it is installed I am not moving it. 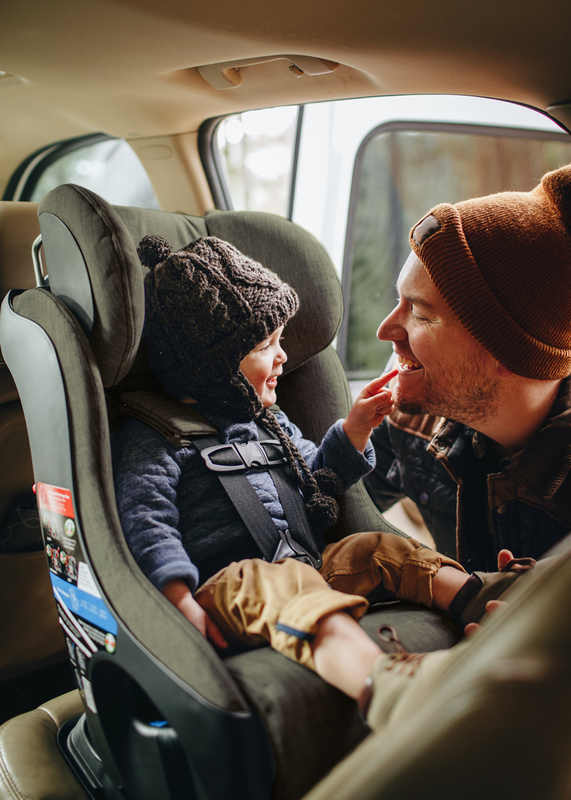 We were happy to find a green guard certified car seat. I love the 'capri' color. My son is happy to sit in this seat and can easily fall asleep in long trips. I am SO pleased with the Clek seats we own (both Foonf and Fllo). Installation is a dream and my daughter loves the ability to see out the windows with the high seated position. Clean-up is a breeze and they do not retain odors. Great seat from a great company! 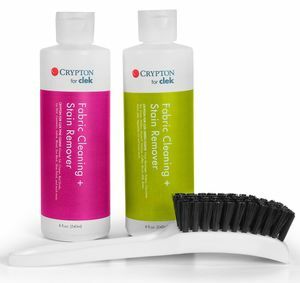 Love, love, love Clek products! My daughter is almost 3 years old and is still comfortably rear facing with no signs of turning her around for a while. I got a great price of this car seat and Albee Baby shipped this item so quickly that I received it the very next day after I ordered. 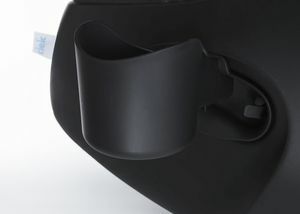 The Clek Fllo is my favorite carseat! We have two in each car for my 2.5 year old and my 11 month old - both rear-facing.Pros:Very sturdy & heavyEasy to install once you've done itfabric is very easy to cleanstreamlined look and feelquality design and padding that is comfortable, but narrowable to fit 3 across the back seathigh rear-facing weight-limitoptional rebound bar for rear-facing, which is required in CanadaCons:Heavy, if you plan to move it oftenIt's a little bit deep, especially with the rebound bar - may not fit as well behind the driver's seat while rear-facingexpensiveNo cup holderIt is by far my first choice in carseats. We were deciding between this and the Diono RXT like many others even though we don't need to fit 3 across. We just want a safe car seat that also allows adults to sit next to it comfortably. Our 1 year old seems to be enjoying the seat as he can see out the window, and sleeps very well in it. The seat takes a little bit of initial effort to setup and get used to, can be difficult to install/adjust for many, but as an engineer I can definitely appreciate the design. Because of the seat design and the recommended rear facing angle, it can be difficult to fit this behind the driver or the passenger seats if you need rear facing and if you are driving a smaller car. Love our new Clek! Once I read the manual, installation was easy! Fits so nicely in vehicle, love how narrow it is. The fabric lives up to its hype, everything really does wipe right off. My son says he's comfy in it. So far, despite it being the 2016 model, we have had zero issues with the belt buckle pad coming off when putting him in and out of the seat. It is heavier than a lot of car seats, and I like that! That's a big part of how it's keeping our babies safe!! Couldn't be happier! And it shipped super fast, arrived in 3 days. We love Clek car seats. 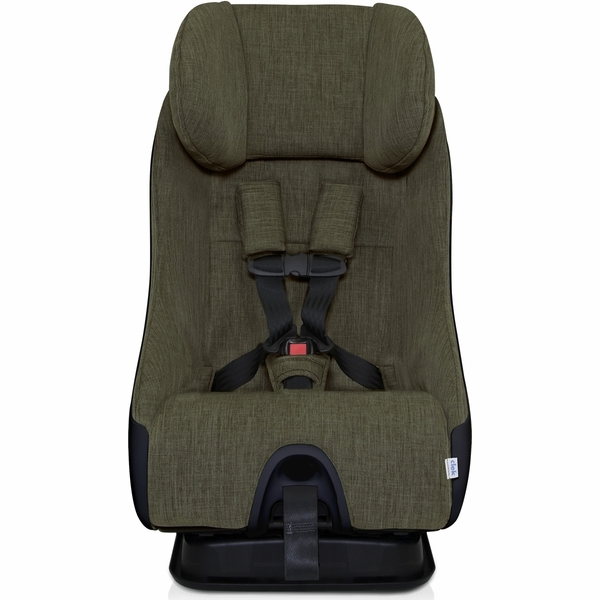 We had a Clek Foonf for our SUV, and decided to try the Maxi Cosi Pria for our second, smaller car. 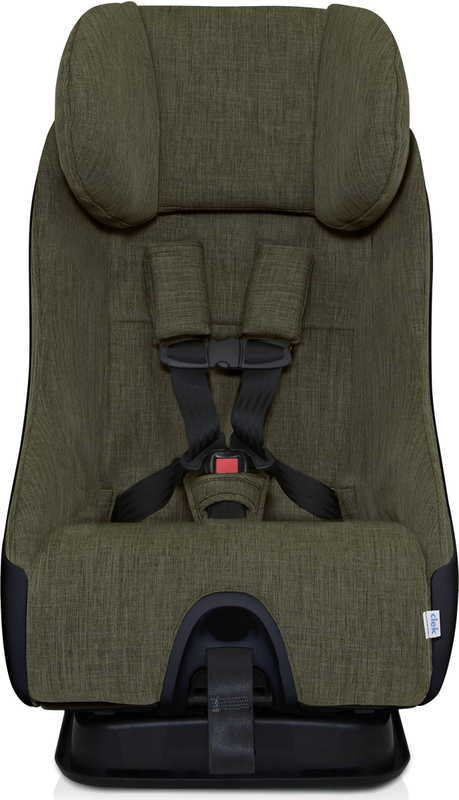 The Maxi Cosi felt so flimsy when installed compared with the Clek, and it was hard to get the baby in and out. So we returned that one and went back to the trusty Clek, but this time we got the Fllo. The installation is so secure, the car seat does not move around at all. And the colors are so pretty. The Fllo seems a lot lighter then the Foonf, so that is the one we plan to take on travel with us, which we use the awesome Clek Wheely bag for. Also, the Fllo seems to sit a little lower in the car then the Foonf, which works well for our sedan. By the way, Clek customer service is amazing. I plan to stick with this brand for a long time to come. Both Cleks came from Albee Baby, which seems to have the best inventory and pricing on these. The shipping was fast and free. We have four of these! We have four of these! We got this for our now 2.5-year-old and absolutely love it. 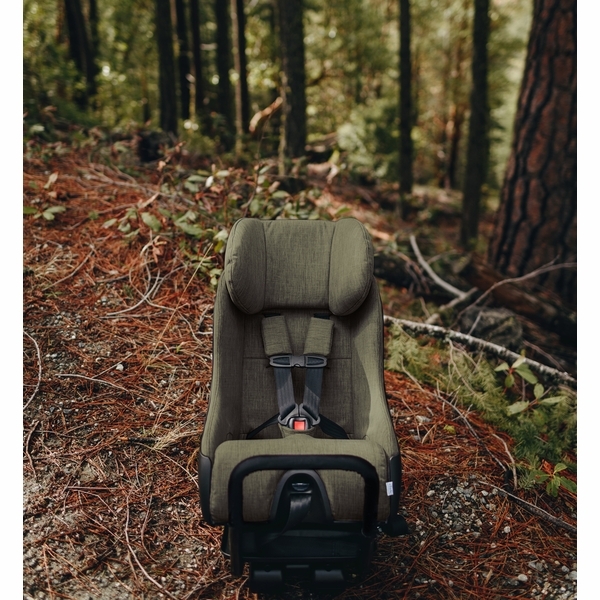 Any other seat that we have used pales in comparison to the Sturdy feel as welll as the ease and length of straps to get a large toddler in . Now that we have two children we went ahead and bought three more so that both boys will have them in both cars they are always much more attractive than any other seats we have seen is well.. We love being able to have him sit where facing for as long as possible as well. As far as we are concerned it is the best on the market. I just wish they were not so expensive! Prosin both cars â€“ they are always much more attractive than any other seats we have seen is well.sturdy. Strap length. Elegant look. We are facing longer than other seats. ConsSuper heavy â€“ so this is only an issue if you plan to take it in and out of the car. Everything I hopeed it would be! I love this car seat! My daughter loves it & enjoys car rides more now that she can sit up and see more. super comfy for baby (finally - a car seat where she doesnt cry every time), awesome print, compact and definitely worth the extra pennies!! seems very secure and safe. My son loves this carseat when we transitioned him from an infant carseat. I like all the safety reasons of Clek - will probably reorder for our second one! Love how well made this car seat is made!!! Can be a Difficult to install and is very heavy. But love how narrow it is. My son loves how comfortable the seat is. ProsCan fit three car seats across in my Honda Pilot. 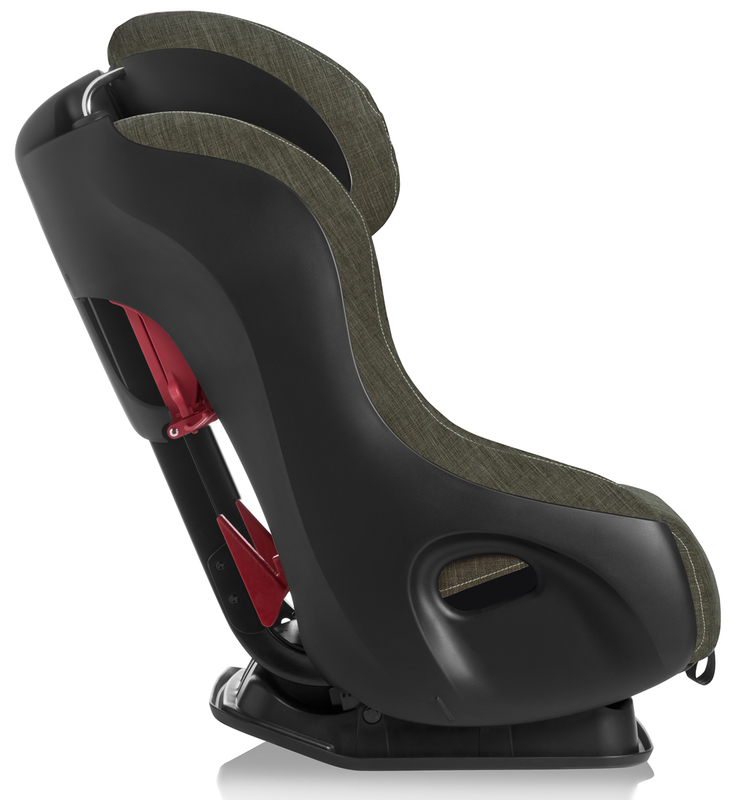 ConsCar seat is large, and can be cumbersome to install. We already have a Clek Foonf, but wanted one for the other car and also for travel (lighter). We are still using the fllo in the backwards facing with the rebound bar and it is very secure and easy to install, just like the foonf. Way lighter, but my wife feels it is less sturdy. But better than any other seat. Also easy to loosen and buckle. I can't really tell much difference from the foonf which we love. The green was not as bright as we thought, actually is pretty nice. Overall very happy. Shipping was not fast, but since it was free, definitely reasonable ship time for a big item (over a week). 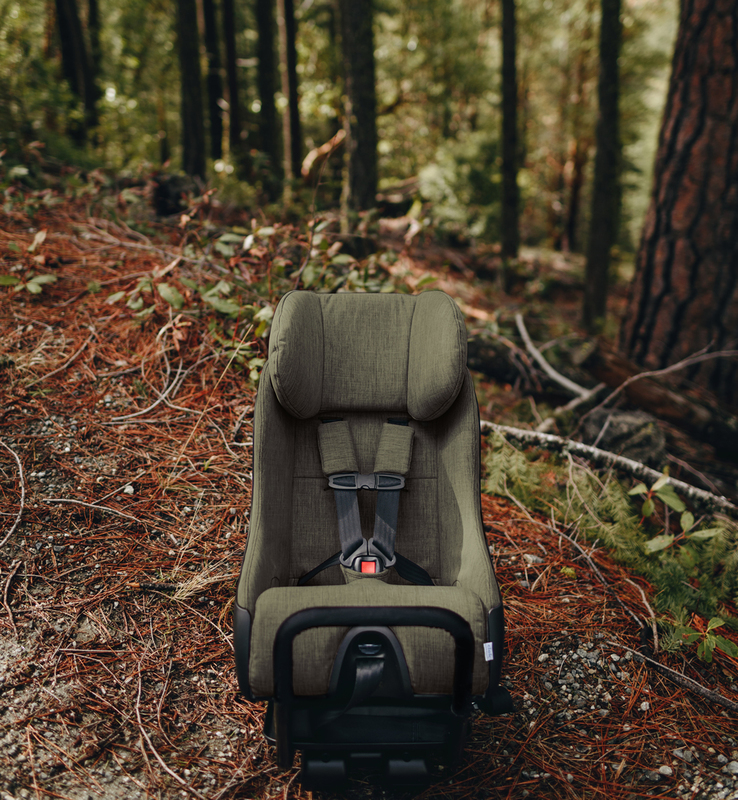 We found the Clek when we were searching for a car seat that would allow us to keep our baby rear facing as long as possible. Clek had amazing reviews so we ordered it. The fabric feels and looks nice. Construction seems sturdy. It is difficult to install and to get tight enough to not have more than one inch of movement. This is our 4th car seat to purchase and install. We have installed our 3 previous car seats in 4 different cars and none of them were even half as difficult to tighten as this one is. We had to contact customer service over the weekend so I sent a message via the website. The next morning I had a response that was very clear and concise. Excellent customer service!!! ProsGood customer service. Seems sturdy. Has good safety ratings. Nice fabric. Baby has lots of room. ConsVery difficult to get install. We needed 2 adults to install it and get it tight enough to not have more than an inch of movement. Easy to install and our daughter is so much happier now that she can see out the windows due to the added height. 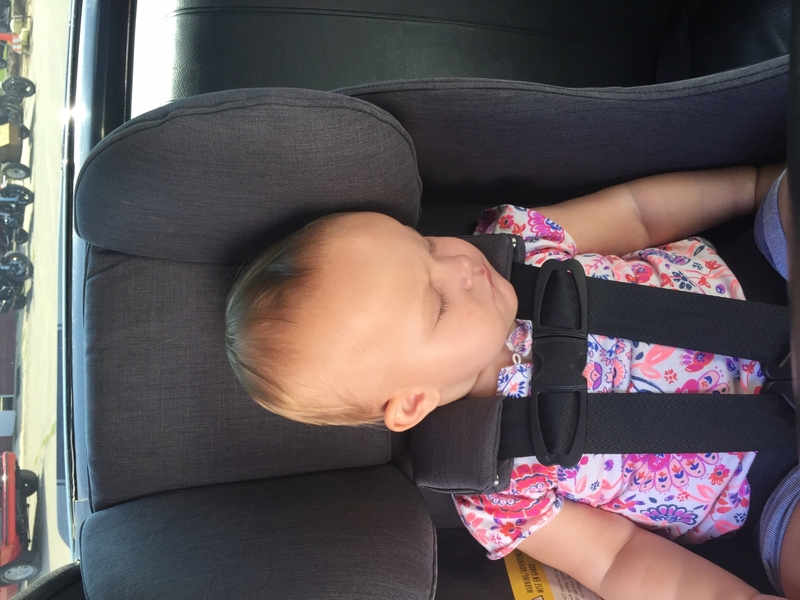 We just took her on a road trip of 4.5 hours each way over 4 days and there was a lot less fussiness than we experienced when traveling with her in her infant seat. We placed it in the back middle seat. I sat in the back seat with her in a Jeep Grand Cherokee and had plenty of room for myself. Would recommend. Best car seat. Honestly the worst I could say is that it's not super cushiony but my baby liked it better! ( we also have a chicco nextfit). This car seat is super easy to put your baby in and help your baby out. It doesn't take up a lot of space if you don't use the rebound bar, if not, it takes up a lot of space where you have to push the passenger seat up a little. Not a big deal when you want the safest car seat icon the market. Absolutely love it! My daughter loves it! I want to sell my chicco keyfit and get another Fllo for my husbands car! ProsEasy to adjust seat belt. ProsVery well built, and well designed for safety and comfort. We owned the Foonf already and bought the Fllo for our other car. These are lighter than the Foonf. Both of our kids love their Clek seats. this is the third car seat I have purchased for my grandchildren. My daughter-in law loves them, as she now has 3 across in her SUV. The material is great, and the size fits perfect in the smaller SUV's. A great product, and once you own one, you never go back to the other type of car seats. The safety features are superb. My 3 year old son actually prefers riding rear-facing but he is tall, so we had a hard time finding a seat that would work for him. Enter the Fllo - which fits him perfectly.He likes the additional padding and great colors. We appreciate that dirt wipes off the crypton fabric pretty easily (but it is showing a few spots). We also like that it is pretty easy to strap him in (unlike many other seats we've tried).Installation was not nearly as difficult as we'd feared based on other reviews and he loves it. We're hoping this one will last us a while! ProsExtended rear-facing for taller kids. Great colors. ConsBig. It is smaller than the Foonf, but still makes it very hard to see out the side or back windows -- even in my minivan. It's perfect! Super clean appearance, easy to install. So glad we splurged on this. I was a little worried about the install but this was super easy! Love that it is eco and that I can extend rear face my kids! Also love that I can get all ages into this carseat and that it will be comfortable for them all! This car seat is wonderful. I love that our little one seems so safe and secure in it. Its a little bulky in our Subaru I'mpreza pushing the passenger seat very far forward. I like the extended rear facing with this seat and I hope to rear face as long as possible. I had looked at this for our first and passed because of the price. We got the Chicco Nextfit instead, to save a little money and i wanted the no re-thread straps. With our second we needed something that didn't take up so much space and since I drive so much i wanted something that would allow our girls to stair rear facing as long as possible. I also wanted something that didn't require me to move my seat forward that much. I am tall and have my seat all the way back in my GMC terrain, even with the rebound bar I only had to move my seat up a little. I like the look and feel of the car seat. It was easy to put together and install however this also isn't my first car seat i have worked with.We will be getting a second one for our oldest. The fabric on her Nextfit is pilling and the straps are still difficult to work with even after about a year and a half of use. Pros It isn't as wide as others, love the look, out of the box the shoulder straps were easy to adjust, it lasts 9 years!! and my kids are both very small so they will very likely get to use this for many years. I love how slim this car seat is, I was able to get 3 across with it and 2 radians. My daughter just turned 1 and usually cries in the car but she hasn't cried once since we moved her to this car seat. I also like the rebound bar. The only con is that it seems like it might be hard to get the cover off to clean but I haven't tried yet.